Thailand has excellent medical facilities at par to be found in western countries. The doctors and the support staff are mainly US trained, very efficient, no waiting time and treatment is available at a fraction of the cost of which is done in the United States or Europe. Thailand, specifically markets itself as a medical tourism destination due to this. Many choose to have all their plastic and cosmetic surgery done here to save thousands. Thai massage is one of the other famous therapies. Thai massage parlors are spread all around the country offering variety of quality massage services as well as touch related therapies. With 46 million U.S. citizens living without health insurance–and millions of others underinsured or unable to get adequate care–a growing number of U.S. women are flocking to a Thai hospital for treatments they can’t afford at home. (WOMENSENEWS)–June Flowers would have done anything to stop the pain. Suffering from a severely herniated spinal disk, with little savings and no health insurance and earning less than $10 an hour as a part-time cafeteria cashier, she couldn’t afford the $30,000 operation her doctors said she needed. It didn’t make sense to buy private health insurance, because her back problem would be considered a “pre-existing condition” and exempted from treatment for two years. Flowers feared having to file for bankruptcy. Then came the quirk of fate that sent her halfway around the globe and solved her health and financial troubles in one go. With one-sixth of Americans living without health insurance–and with government spending on health care for the needy in decline–Thailand’s Bumrungrad International hospital, the largest private hospital in Southeast Asia, is becoming a mecca for health tourists seeking treatments for as little as one-tenth of the U.S. cost. Though the quality of care at Bumrungrad is highly regarded, other health facilities attracting U.S. tourists may not match, or may fall far below, adequate standards of care. In the past five years, Bumrungrad’s overseas clientele has doubled. More than 60,000 Americans visit each year, the majority of them female. According to the Kaiser Family Foundation, the cost of employer-sponsored health insurance in the United States has spiked by 73 percent since 2000 and now stands at $10,088 per family, nearly a quarter of the median U.S. household income of $44,389. Meanwhile, federal spending on health care for the needy fell 9 percent from 2001 to 2004, according to the Washington-based Urban Institute. During that time, the number of uninsured Americans jumped by 4.6 million and now represents 16 percent of the population. 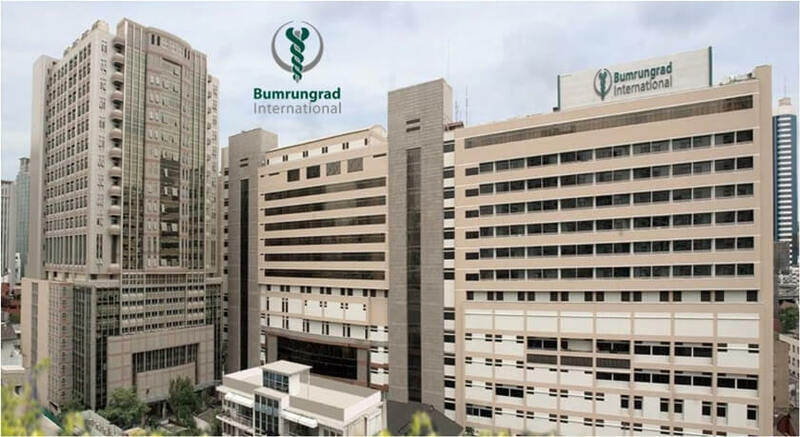 Occupying several blocks of a busy Bangkok street, Bumrungrad International boasts more than 2,600 employees: 700 nurses, 700 doctors and a fleet of hairdressers, manicurists and masseuses who work in shops on the hospital grounds and cater to the needs of international clients. Overseas patients bustling around the complex are assisted by interpreters, a concierge service and embassy workers. Limousines hired by the hospital whisk patients to and from the airport. Visitors can enjoy lattes from Starbucks, croissants from Au Bon Pain and snacks from any of the other Western restaurants that crowd the hospital’s marble-floored, palm-festooned atrium. In addition to gleaming facilities, patients say they also enjoy top-notch care. Holly Hogberg, a 40-something meeting planner from San Francisco, went to Bumrungrad after a fall shattered three vertebrae and cut short her scuba diving trip. The facility’s ability to attract international patients is linked to its low bottom line. U.S. salaries typically consume half of a hospital’s budget. But at Bumrungrad, they account for only one-sixth of total expenses. Though well-paid by Thai standards, employees earn only a fraction of what their American counterparts do because they live in a country where the average citizen survives on $2 a day. Doctors, meanwhile, are not burdened by annual malpractice insurance premiums of up to $150,000, as they are in the U.S. “In Thailand, we don’t have these costs because here, our patients usually never sue,” says Nopadol Saropala, Bumrungrad’s obstetrics director. While Bumrungrad is a bargain for many foreigners, few Thai nationals can afford its expert services. Instead, most rely on government-sponsored health care that costs them $7 per doctor’s visit. The hospital is also off-limits to truly needy Americans. For them, the $1,000 plane ticket to Bangkok is out of reach, as are out-of-pocket hysterectomies and heart transplants, even at bargain prices.But U.S. health tourists at Bumrungrad often find the costs so reasonable that they wind up going on shopping sprees at Bangkok malls and tossing in elective procedures they might not consider at home. When she flew to Bumrungrad last year for a $3,000 bladder surgery that would have cost her $25,000 at home, Martie Balmer of Boise, Idaho, also threw in a $1,400 eye tuck. Once patients are back in the United States, however, health care realities return. After Bumrungrad, June Flowers still lacks insurance and is still struggling to pay $16,000 in medical bills from before her trip and afterward. Martie Balmer has no health insurance because she can’t afford $400 monthly premiums. And Holly Hogberg is wrangling with her insurance company about coverage for her emergency care.